Transparenz – wir machen mit! Ilembula – wo ist das? Emmaberg – wo ist das? Luduga – wo liegt das? 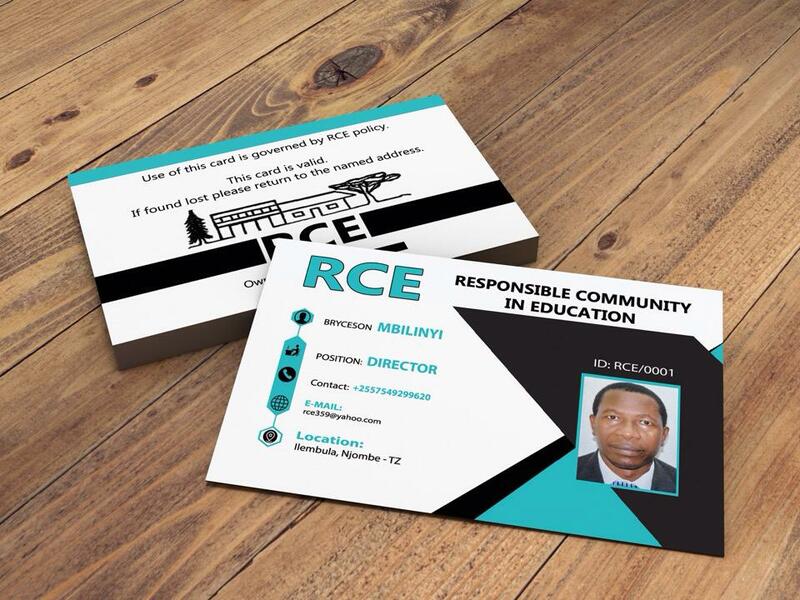 RCE ist die Abkürzung für „Responsible Community in Education“. 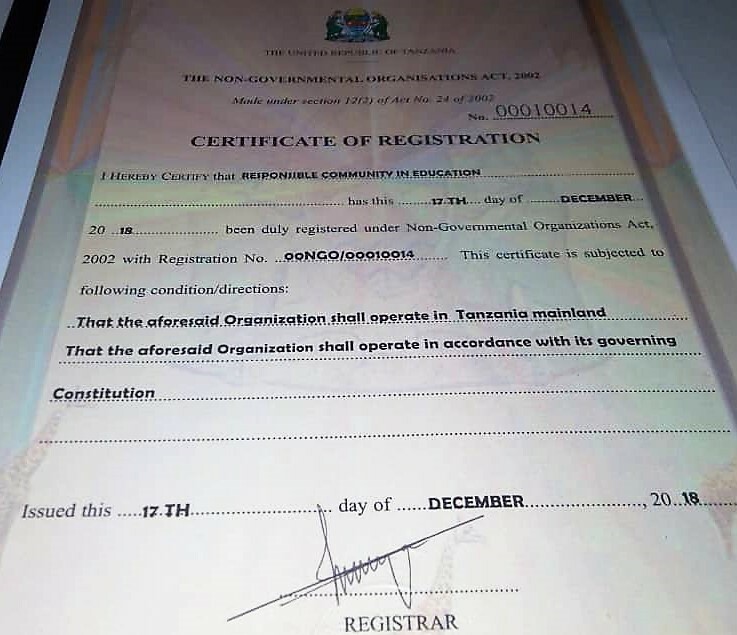 Dieser Name steht für eine am 17.12.2018 registrierte tansanische NGO (Non Governmental Organisation). Die NGO hat ihren Sitz in Ilembula. Ihr Director/Vorsitzender ist Bryceson Mbilinyi, der von Anfang an unsere Partnerschaften mit den Secondary Schools in Ilembula und Luduga maßgeblich organisiert und mit gestaltet. The SchuPa NGO cooperates with SchuPa Tansania e.V. to realize school partnerships (projects and visits) which are based on long-term relationships and sustainability in accordance with the National Development Vision. The SchuPa NGO based in Tanzania pursue exclusively and directly charitable and community purposes within the meaning of community empowerment. Such empowerments will incorporate gender equality in all social economic activities, leadership, and valuable cultures; health services, safe water, universal primary education and tertiary education and capacitate on the trade issues with environment for future generation. To mobilize financial support for projects that serve the improvement of education at Tanzanian schools. To sensitize and provide education support through youth exchange program to promote mutual understanding of valuable cultural religious and economic life. To support the initiatives of the people in economic activities for poverty reduction in the community and help themselves. To do any other activities that SchuPa NGO may lawfully engage in and which are conducive to the attainment of the aims and objectives for which the SchuPa NGO is established.